There can be little doubt that the greatest expression of terroir in McLaren Vale comes from the Shiraz grape. (Indeed, many of Australias Grange growers are located in McLaren Vale!) While McLaren Vale may produce Grenache filled with flavours of ripe raspberries and liquorice, and Merlot abundant with mulberry, earth and truffle, it is Shiraz that conisistently finds its finest expression on a level that is way above any other variety. As a long time local of Mclaren Vale, Journeys End winemaker, Ben Riggs knows the region intimately and is able to source fruit from many of the regions finest sites. 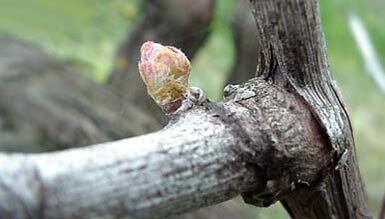 Some winemakers believe that grapes should be blended together to produce only one excellent wine. This is a great theory in practice, but in viticulture, as in any form of agriculture, the seasons vary and they will inevitably produce a range of wine styles. Consequently. Journeys End Vineyards produces three tiers of Shiraz wines. In doing so, Journeys End extends the notion of Shiraz terroir one step further by using up to five different Shiraz clones to maximize complexity and flavour profiles in its wines. This clone produces wines with an opaque black crimson colour. Aroma of chocolate, spice and a hint of truffle. The palate structure can be a touch austere with sour cherry and stewed fruit flavours over a background of spice and blackpepper. Very deep crimson mauve colour. The nose usually displays some stewed fruits and lifted sour cherry notes. Sour cherry, stewed fruits palate. This is the clone that delivers the best colour. Crimson, mauve purple. The nose can be a touch perfumed with nuances of violets and plum. The palate flavours are very intense, with distinct blackpepper character. This clone produces wines of very deep crimson mauve colour. Aroma of chocolate and plum, generally showing good lift. The palate usually displays flavours of stewed fruit and spice. This clone produces wines of very deep crimson colour. Subtle nose, with earthy, stewed fruit notes, with some farmyard characteristics. Earthy palate, with plenty of ripe fruit character. The wines show good length and depth. The realities of a highly competitive market have meant that as a relative new-comer, Journeys Ends wines must over-deliver on quality in order capture the publics imagination. Bens insistance on using a range of clones, together with a variety of oak barrels and different fermentation techniques are all aimed at maximizing flavour and complexity. Even in the final blending process, Ben may heavily cull barrels that do not come up to standard in order to isolate only the very finest wines. The end result is that the respective price points of the Journeys End Shiraz wines clearly reflect their quality, or perhaps it would be more accurate to say "with Journeys Ends wines you get more than what you pay for!" The three tiers of Shiraz produced by Journeys End Vineyards are each labelled to represent a period in Australias early viticultural history. Each label is dedicated to a pioneer whose stalwart efforts to make wine of quality in the new land, while rarely successful, became an instructive and inspirational legacy for future Australian vignerons. Their stories will be unfamiliar  even to many Australians  yet their trials represent that integral period of challenge & response that lies at the foundation of many providential beginnings, including that of the Australian Wine Industry. The "Embarkment" Shiraz is the first of three Shiraz wines produced by Journeys End Vineyards and marks the start of a wonderful Shiraz journey. The wine is made from younger vines around 7-10 years old and is fruit driven, displaying an emphasis on the blackberry, plum and spice flavour spectrum with a restrained use of French oak. The "Embarkment" Shiraz is dedicated to John MacArthur, pioneer and publicist of the Australian wool industry, who together with his two sons, decided to redress the oppressive lack of good wine in the infant Australian colony. The trio toured Europe in 1815-16 studying viticulture and returning with thirty vine types. After years of painstaking cultivation, only six of the original vines showed promise, and slender promise at that. It became evident that much of their imported collection was spurious and that grape varieties and not soil types were the cause of failure. Finally, a small quantity of good wine was realized from alternative cuttings. This unassuming success born from decades of trial and error was to mark the beginning of one of the worlds great wine journeys. Journeys Ends second tier Shiraz, "The Ascent" is essentially de-classified Arrival Shiraz (the peak of the Companys wines). Ascent is from barrels that are not quite up to the quality expectations of the Arrival Shiraz. This declassification can be due to differences in ripening times, (different patches of vines will ripen at different times), differences in oak or simply due to a slightly higher yield than expected for Arrival. Extended maturation in French oak barriques adds layers of flavour to this Shiraz ensuring a wine of great length & complexity that will reward careful cellaring. "The Ascent" Shiraz label is a tribute to one of Australias great explorers, the eccentric Gregory Blaxland. Wine seemed a novel challenge for the adventurer Blaxland, who together with Wentworth & Lawson had pioneered the first track across Australia's "impenetrable" Blue Mountains. In 1816 on his "Brush Farm" estate Blaxland planted his first vineyard, experimenting with many different vine types which he had collected en-route to Australia from the Cape of Good Hope. At that time the Royal Society of Arts in London were offering a medal for "the finest wine of not less than twenty gallons of good marketable quality made from the produce of the vineyards of New South Wales." Inspired towards this goal, in March 1822, Blaxland shipped Australias first export of wine  a barrel of claret fortified with ten percent brandy. In England where it was surprisingly well received, Blaxland was awarded a Silver medal for his efforts. A second shipment in 1827 was awarded the Gold Ceres Medal of 1828 from the Royal Society of Arts [pictured above.] The judges stated the wine: "
had much of the odour and flavour of Claret." and that; "On tasting the samples, it was the general opinion that both of them are decidedly better than the wine for which in 1823 Mr Blaxland obtained the large silver medal of the Society and that they were wholly free from the earthy flavour which unhappily characterises most of the Cape wines." towards the heights of the winemaking world had begun. Journeys End Arrival Shiraz is the finest expression of McLaren Vale Shiraz. Using only the best barrels, longer barrel maturation times and fruit from lower cropping vines. To taste Journeys End Arrival Shiraz is to have indeed Arrived! The benchmark label in the Journeys End Shiraz series, "The Arrival" is simultaneously a beginning and an end. Journeys End have endeavoured to create the final expression of this varietal  the pinnacle of the Shiraz journey. It is to this single vine that the Australian wine industry owes so much of its present reputation, yet few people are aware of its humble beginnings in this country. I uniformly prefaced my request for information with a statement of the object for which it was required. So far however, from having been in any one instance at all deceived or misled. I have found every person to whom I applied anxious to forward my undertaking." Busby returned to Australia with 678 vines, of which 362 were successfully grown in the Botanical Gardens of Sydney. Amongst the collection were the nations first Shiraz vines. These cuttings were to propagate the vineyards of Australia, heralding the beginning of one of the world's great Shiraz journeys. "Winemaker Ben Riggs brings to mind the old adage about the rolling stone that gathers no moss. Having departed Wirra Wirra a couple of years ago, where he was chief winemaker, he's reinvented himself as a globetrotting consultant with his pipette in many barrels. He is listed as the winemaker for the newly released Zonte's Footstep wines; he has his own small output of stellar-quality wines under the Mr Riggs label (recent shiraz, viognier and tempranillo have been excellent); he is winemaker for the Tatiarra range of remarkable reds from Heathcote; he travels regularly to France and Italy to make wine during the northern vintage; and he is a consultant to several other wineries in McLaren Vale. As well, he makes the Journeys End wines: wonderful, statuesque reds crafted from McLaren Vale shiraz. The 2002 top-liners have arrived, and they are sensational. At $25 to $30 is the Ascent Shiraz, a lusciously fruited, great-value wine: soft, mellow chocolate, spices and licorice. And at $40 to $50 is the flagship Arrival Shiraz: a blockbuster of concentrated plum, blackberry, chocolate and vanilla depths, with higher levels of tannin and oak. Both wines are 15 per cent alcohol, but in contrast to several other wines of that strength doing the rounds, they taste balanced. Riggs seems better able than most to achieve balance with high alcohol, and avoid porty and "dead-fruit" flavours. The packaging is superb, and recalls the Woodleys Treasure Chest wines of the 1940's and '50's. Ascent has a picture of Gregory Blaxland, the words reminding us that he is credited with exporting Australia's first cask of wine - to England in 1822. This marked the start of Australia's "ascent" into the international world of wine. The Arrival label depicts viticultural pioneer James Busby, but the claim that he was the first to import shiraz vine cuttings into Australia is questionable. The Macarthurs may have beaten him to that distinction. Whatever the truth, these are two sensational reds, showcasing a great McLaren Vale vintage."